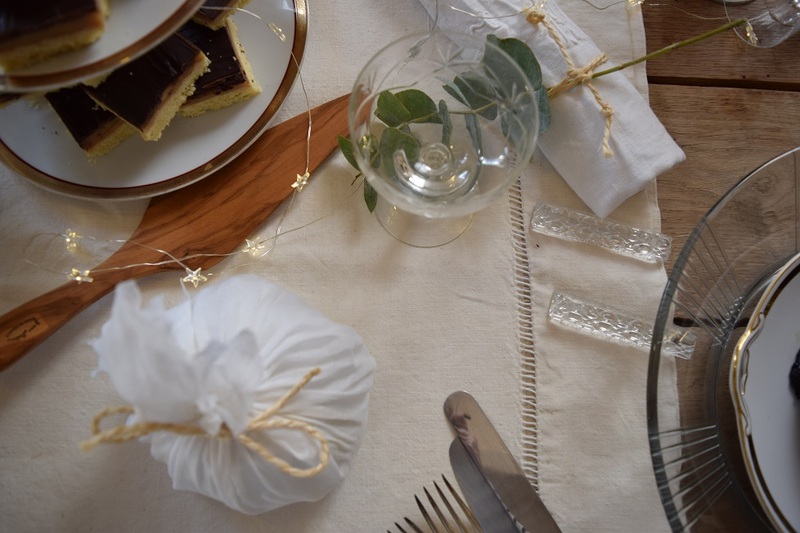 There’s something so magical about dressing the family Christmas table and with so many Christmas table decoration ideas on Pinterest and Instagram, it’s sometimes hard to choose between the endless styles around. 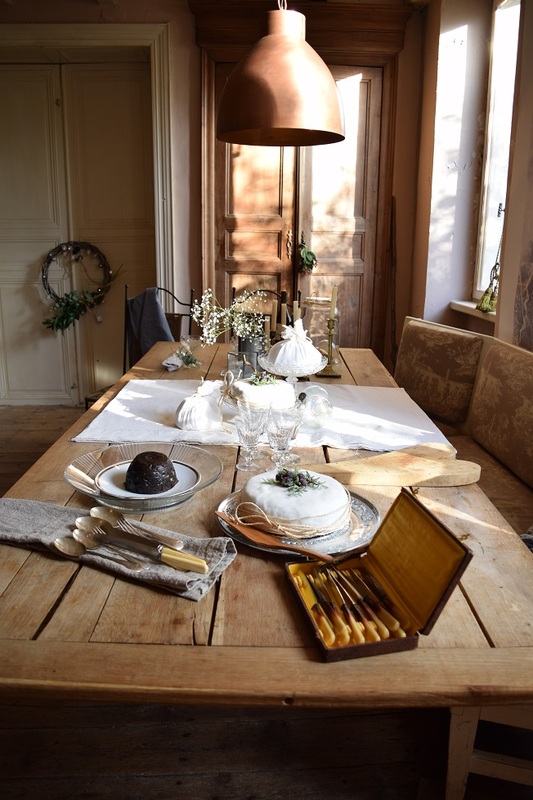 This year for our Christmas table decoration feature we headed to Samantha Collyer Kegg’s home at Glamping Tipis in Charente. 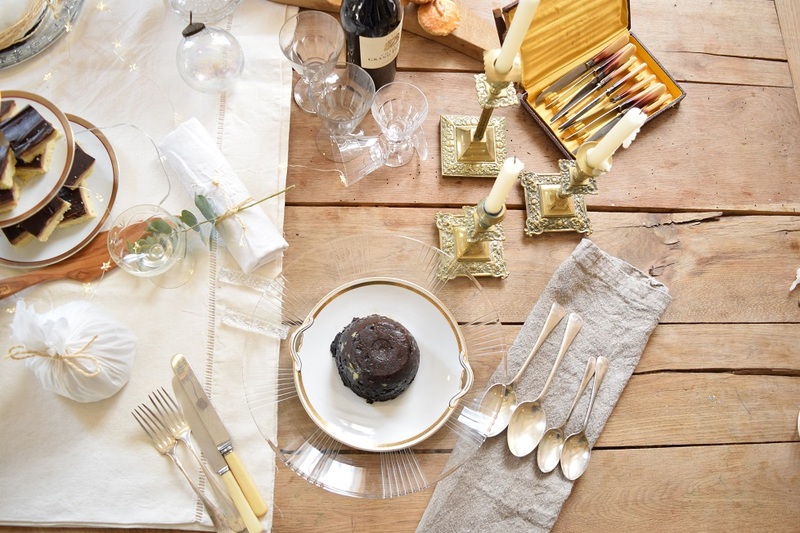 Her Christmas style is simple, elegant and so inspiring. 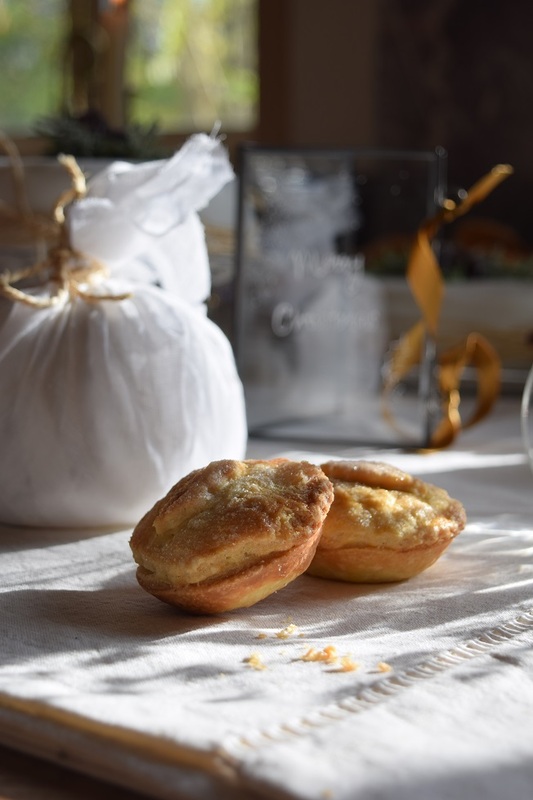 A real family affair, the run up to Christmas is a busy festive time for the Collyer Kegg family with orders for bespoke Christmas bakes coming in by the dozen and a buzz of excitement in the air. 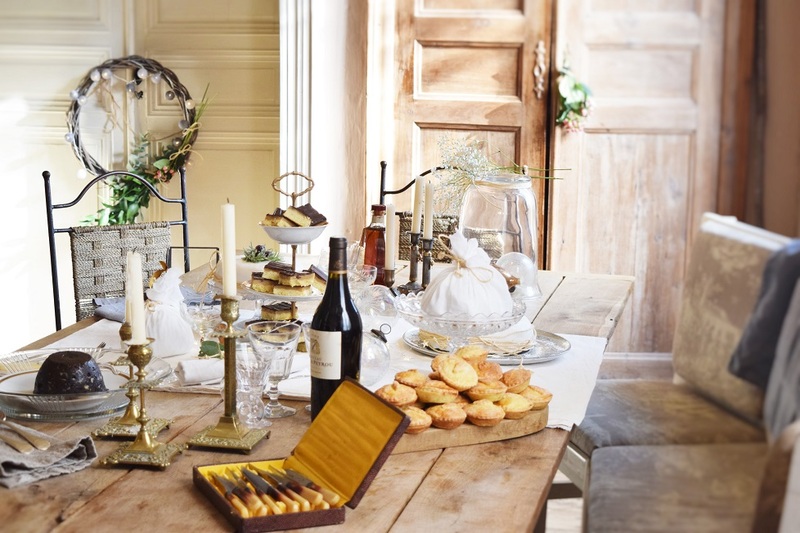 Their French country home is decorated with a beautiful Christmas tree, traditional glass baubles and the scent of warm spice wafting out of the farmhouse kitchen. 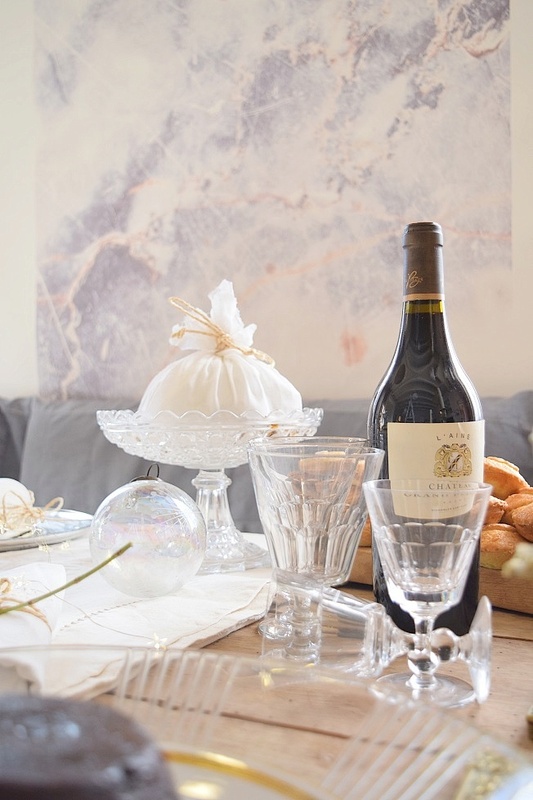 At the heart of their French home in the Nouvelle Aquitaine region of France, Samantha’s Christmas table is inspired by her fond memories of Christmases past at her Grandparents’ home. 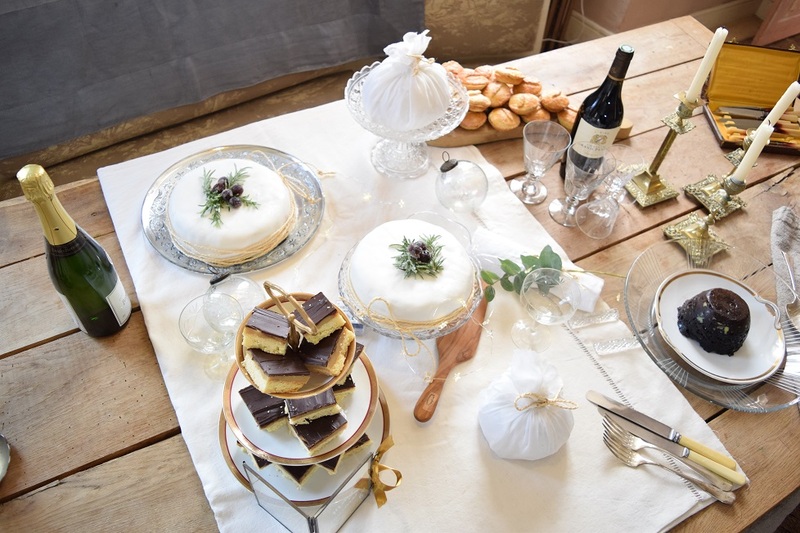 Samantha’s handmade Christmas cakes give a gentle nod to the beautiful vintage Christmas style we love here at Love French Style Blog – lovely vintage inspired homewares displaying delicious seasonal treats, each one made to a traditional family recipe to fill your heart and home with joy. 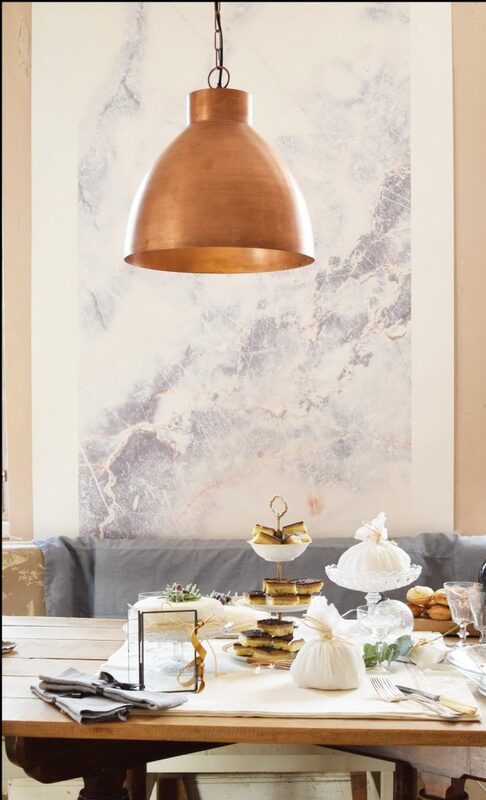 Above : Printed marble wallpaper creates the perfect backdrop to this festive scene. 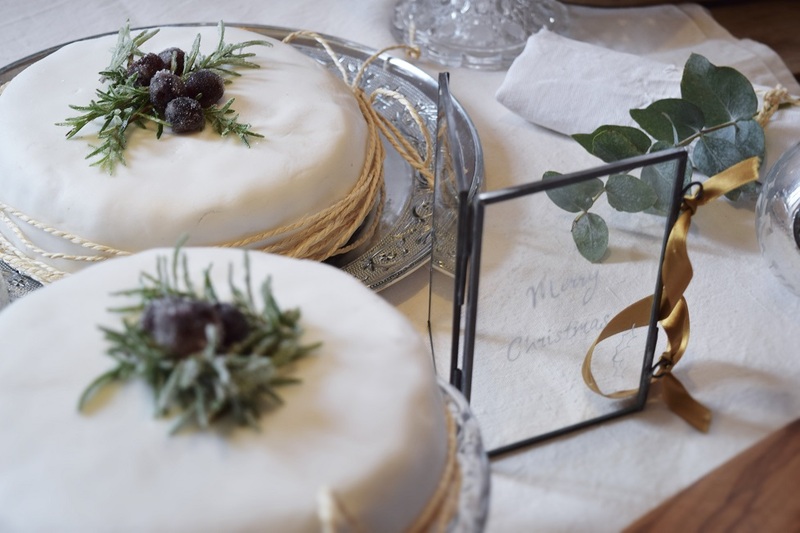 Beautifully iced and moist Christmas cakes, with walnuts, fruits and seasonal spice – finished with simple string ties and frosted winter berries. 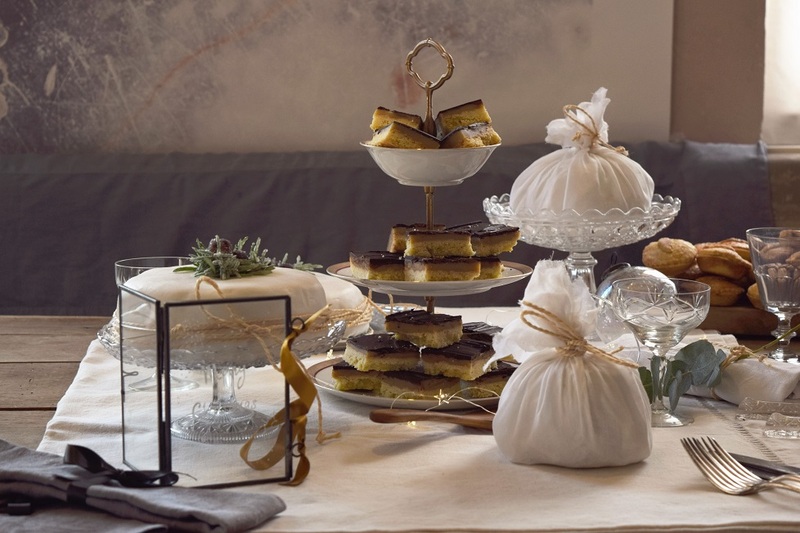 Millionaire shortbread and chocolate brownies make beautiful stocking fillers for friends and family with a sweet tooth. 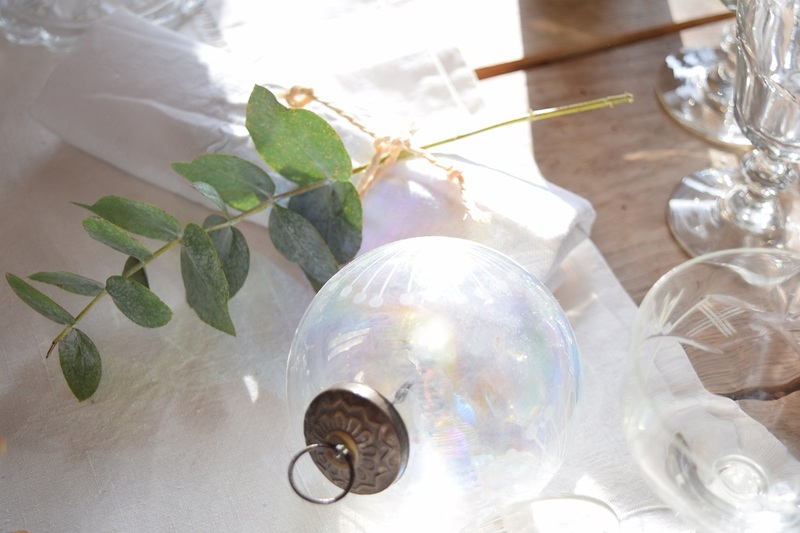 Simple sprigs of eucalyptus and ever green branches bring colour and seasonal perfume to the table. 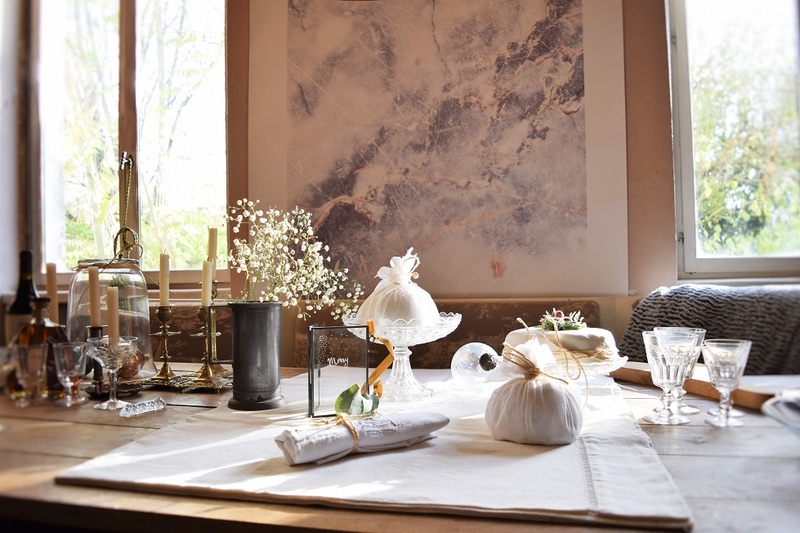 Flowers from Maud Haution, Atelier Vert Verteuil. 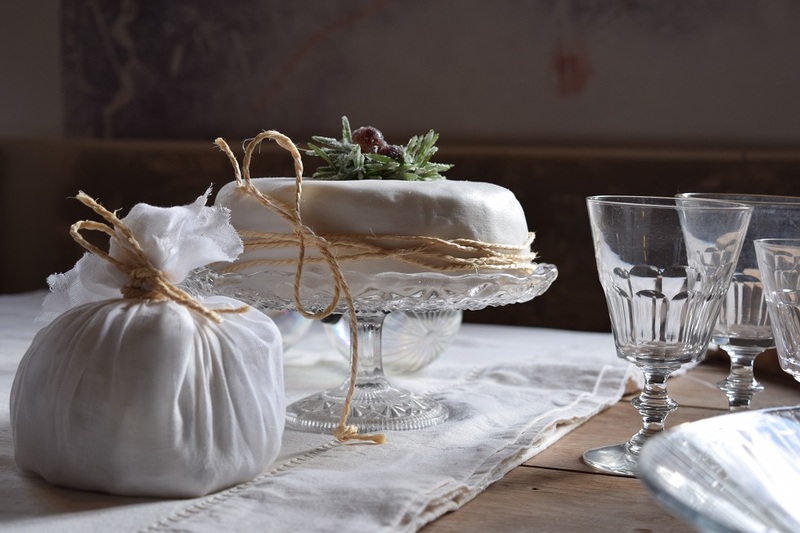 As soon as the winter fires are alight, Samantha and her Mum Maggie set about making their Christmas puddings together in time for Christmas. 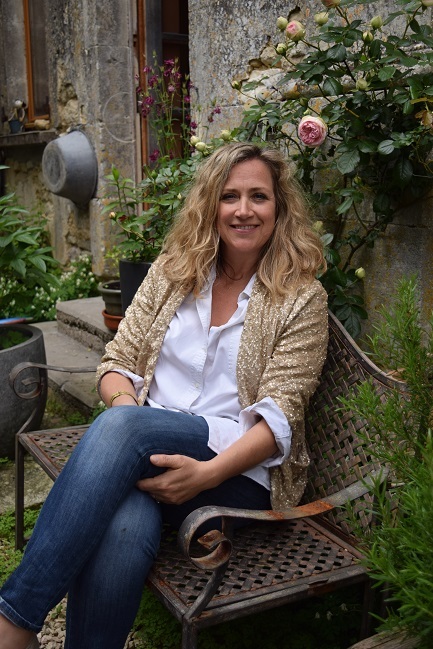 Although they both live in France, they make traditional British treats that are bought and loved by French and English people alike. 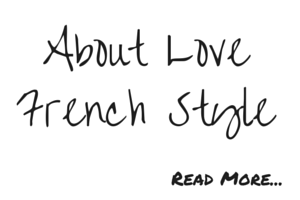 Their delicacies are adored in both in the Charente, where they live and further afield. 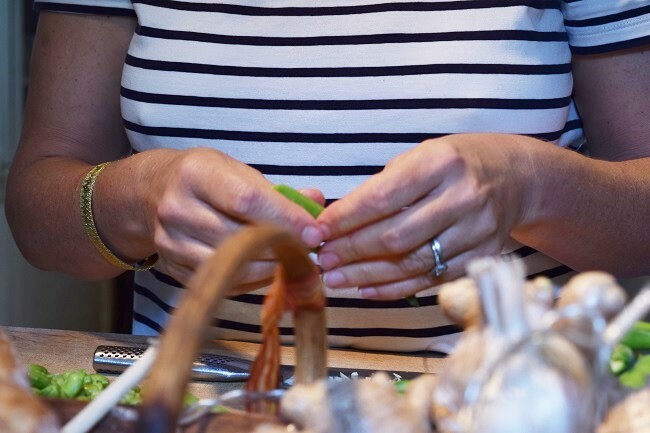 It’s easy to see why, not only do they taste delicious but they are made with such love and attention to detail. 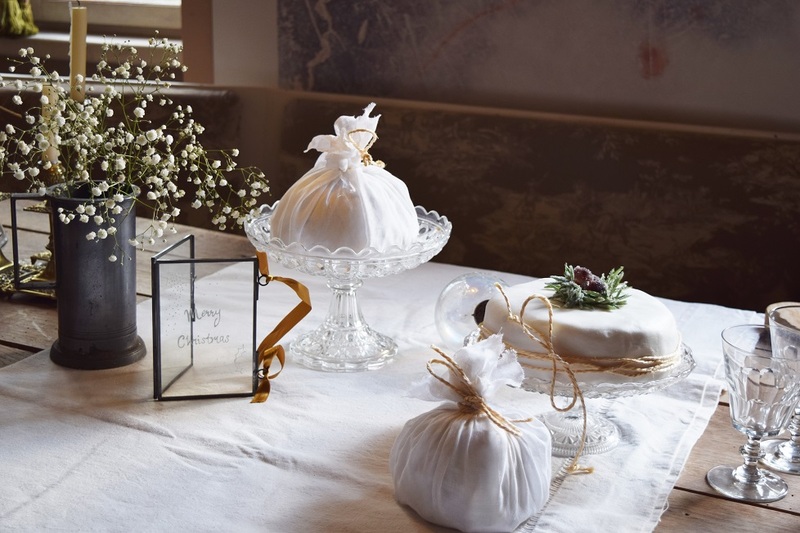 We love their Christmas puddings, each one is made to order for a bespoke number of guests and is then wrapped in white muslin with hand-written instructions for the new owner. 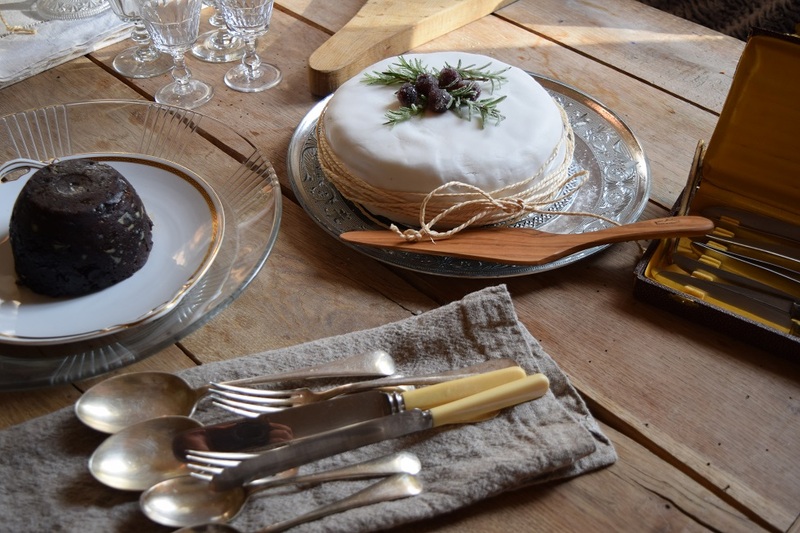 Past and present style, contrasting family silver with French-made wooden utensils from Jean Dubost. A veritable feast! 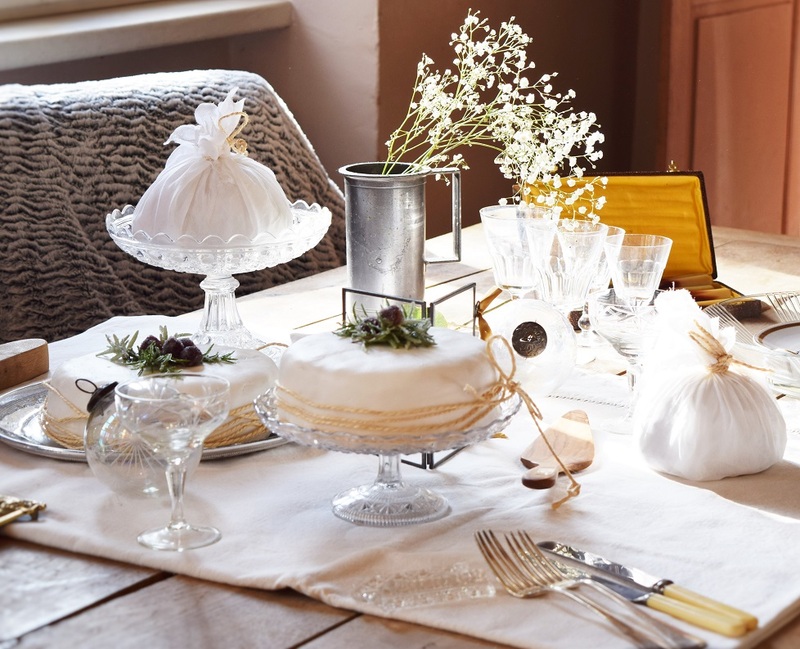 Samantha’s convivial French table was hand-made by husband John when they needed further seating for extra guests one year. Their open house is always full of friends and family so it ended up staying! Samantha is currently taking orders for Christmas and New Year treats 2017. 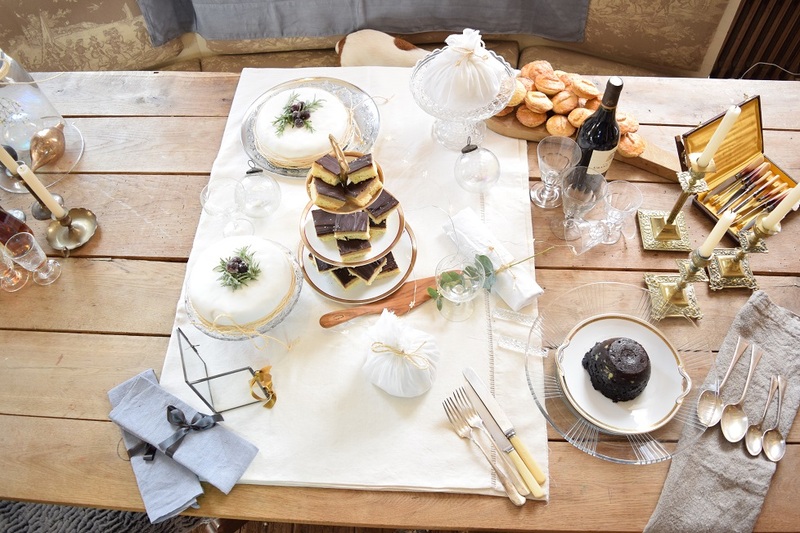 To order your Christmas cake, Christmas pudding, rocky road, millionaire shortbread, chocolate brownies, mince pies or hand-selected Christmas hamper please contact her on 0545910734.